Think about all your annoying habits (no lying!) and then think of all your partner’s annoying habits. Do they chew with their mouth open? Do you snore? Because if you can’t think of anything now I guarantee you will have quite a list by the end of your trip. This shouldn’t be a deal breaker though – everyone has flawed habits, so try to be understanding. Unless you are very lucky, no road-trip ends with out at least one problem cropping up. Running out of gas, flat tires, bad roadside tacos – all of these are problems that are solvable, if you work together. When crunch time comes do you band together or fall apart? Do you end up changing the tire while your partner screams at you or storms off? This could be a sign of issues solving problems and may need to be addressed before furthering the relationship. Who’s paying for this trip? Is it split down the middle or is one partner bearing the burden? It depends on what is right for you as a couple but how you manage money and payments on this trip is a good test for your money management skills moving forward. If you are finding too many reasons to argue about money management before and during the trip, sit down and have a heart to heart about finances in general and how you should deal with them as a couple. Are you both type A personalities planning the trip weeks in advance or is one person running the schedule and dragging the other through packing. 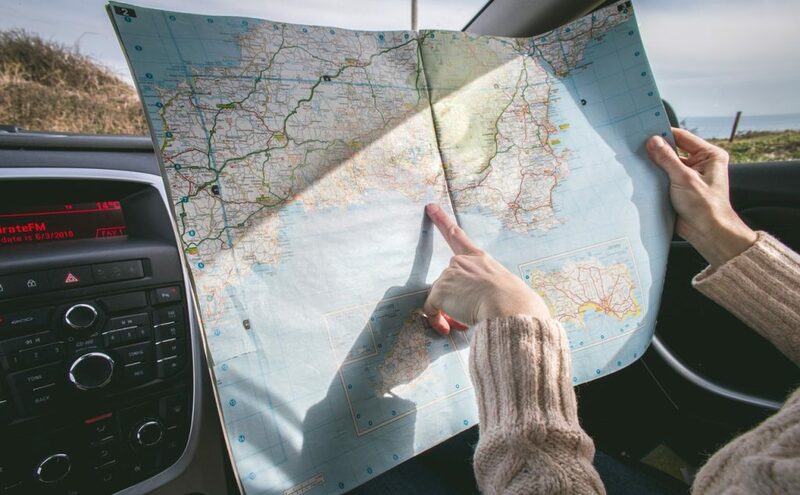 Planning together can be hard since we all have our own habits and favourite ways to travel, from scheduled bathroom breaks to who takes the wheel when. Don’t forget to compromise and plan a trip you can both be happy with. What do you consider good food for driving? What kind of music do you both listen to – or do you prefer podcasts? While the sound of your partner’s voice may excite you, eventually you will need to turn to other forms of entertainment. It may seem like taste in music is something you learn in the early stages of dating, now is when the reality sets in. Try to be accepting and work out a way you can both share your tastes with each other during your trip. Communication is key. I know it sounds cheesy but let me tell you – be ready to tell your partner you need to poop otherwise it is going to be a very long trip. Conveying your wants and needs is always important but doubly so in enclosed spaces. If you can’t convey your needs, there is a good chance they won’t be met. This is a bonus point. While not every road-trip includes a huge issue or trip ending problem, some do. Minor or more serious accidents, problems with the law or weather phenomena can be the end of an intended fun trip. This is a true test of your relationship, as life is full of calamity. Learn how you work together in moments of high stress or serious problems and decide if your coping methods are compatible.